Mt.Elbrus is the highest summit in Europe that makes it a very popular climbing destination for both experienced and amateur climbers. Its relative easiness is another reason why so many people attempt to climb Elbrus, in good weather conditions and with right gear any normal person can do it, the technical part of the climb is not difficult. Though don’t think it’s just a simple walk up the mountain in fact every year a couple of people die climbing Elbrus, the main reasons; bad weather, poor visibility, lack of acclimatization. We don’t encourage inexperienced people to climb Elbrus without a guide but if you’ve done some high altitude hikes/climbs before, do proper acclimatization and use right gear it’s absolutely doable. We hope our Climbing Mount Elbrus guide will help you to make a right decision and to prepare for conquering this amazing mountain. Both Elbrus summits from Garabashi station (3800m). Due to the northern location of Mt. Elbrus at the high altitude the amount of oxygen in the air is even less than at the same altitudes more south. We can confirm it 100% it was more difficult to breath than for example in the Andes at the same altitude. It has two peaks; the east summit (5621m) and west summit (5642m), the main climbing route (the south route) goes to the west summit. July and the first half of August is the best season for climbing with the most sunny days and the warmest temperatures. In June you still get colder days and a lot of snow even at lower altitudes (3500-3800m). The second half of August (when we did the climb) can be quite unpredictable; strong wind, snowfalls, rain etc. Saddle between two summits of Elbrus, the last steep uphill before reaching the top. There are four routes, two main; South and North, the South route (from Azau village) is the easiest and the most popular, it’s where all the cable cars and barrels are. If you have no experience and want to go without a guide it’s the best option. You’ll need from 3-5 days to climb. We did this route and still it was challenging enough and worked out cheaper for us (the fastest route) since we rented some gear. The North route is the historical one the first climber to Elbrus went this way. There are no roads and cable cars it means you’ll have to walk all the way from 2550m (base camp) carrying all your stuff. The good thing about this route there are few people. We’d recommend to take this route if you go with an experienced guide or you’re an experienced climber or if you’ve done Elbrus before. You’ll need 6-8 days. The other two; from the west and east side both are quite wild with very few people, with no infrastructure. The West route starts from Polyana Dzhily-Su (2670m). The East route starts from Elbrus village. For climbing these routes you have to be quite experienced and in good shape. Fantastic scenery on the way to the summit, Mt.Elbrus. Stay for a couple of days in Terskol and do one or two acclimatization hikes; Mt.Cheget (3800m), you can walk up or take a cable car; Observatory/peak Terskol (3150m), only walking, the path starts in Terskol. Remember! don’t push yourself too hard rather rest and sleep more. Register at Rescue center in Terscol (MCHS), you can do it in person or over the phone (+7-928-694-51-19; +7(866-38)-7-14-89). They’ll need your name, surname and passport number (only one person, the group leader), contact phone number and return date. After the climb you have to sign out in person or by phone. Nobody ever checked our registration on the mountain but they did phone us to check if we came down on the last day. Any outdoor activity that involves high altitude is risky climbing world’s highest peaks is probably one of the most dangerous adventure activities you can do. 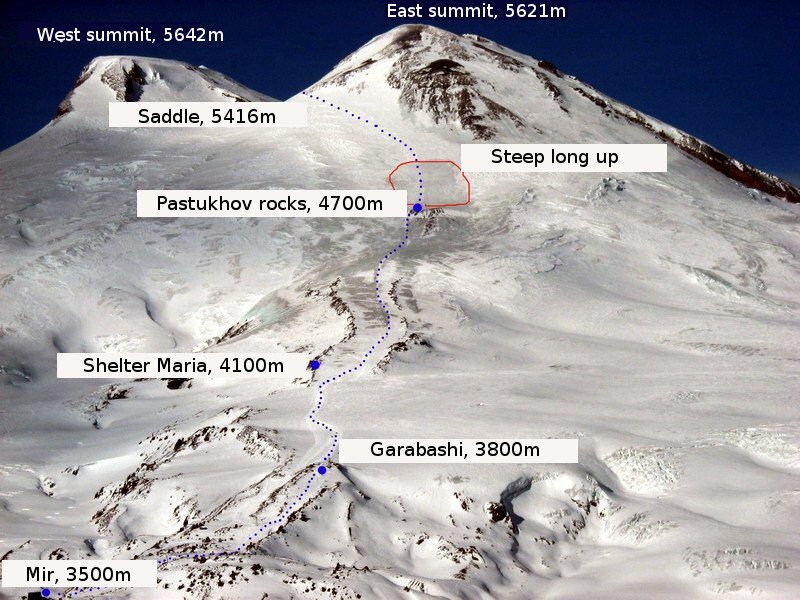 There are several risks that you can encounter during climbing Elbrus, the main are; altitude sickness, frost bite, injury if you fall or slip during ascend or descend, gear loss, break down or damage. it’s highly recommended to have a travel insurance that will cover you in case of any unpredictable emergencies. Let your insurance company worry about you while you conquering the highest peak in Europe. World Nomads insurance company operates all over the world, they have special insurance packages for adventure lovers. It doesn’t matter where you live or where you are at the moment, it takes less than 2 minutes to get a quote, you can buy it online even if you are already traveling. You can get an insurance policy covering only the period of the climb or the whole period of your trip. Let your insurance company worry about you while you enjoy hiking! Note! Always to read the small print and be sure you buy the correct policy. Unlike many of the famous mountains there is no fee to climb Elbrus. Transport – cable car+ski lift — RUB900/US$15 both ways including backpacks. Accommodation (barrels) — RUB700-800/US$12-14 per day. Free if camping. Snowcat to Pastukhov rocks (optional) — RUB5000/US$87 pp. one way. Drinking water — RUB200/US$3 for 5l. Food in coffee shops (pies, fried eggs, snacks, tea) – from RUB300/US$5 per day. For more variety bring your own food. Where to stay on Elbrus? There are barrels (bochki) as well as a coffee shop and some souvenir shops here. Not really an option unless you have serious altitude problem and can’t go higher. Almost no climbers stay here, it gets very busy with day visitors. To start a climb you’ll have to go to Garabashi station anyway. There are several barrel huts and containers here. The first group, the bottom level (the nearest to the chairlift) and the first coffee shop. We’d recommend to walk further up first, because you’ll make your summit day a bit shorter and second, because there are many day visitors here, it’s quite muddy and too busy. The second group of barrels is 30-50m up we’d suggest to walk to the very last one, closest to the new cable car station. Here there are two coffee shops (the wooden one works 24 hours) where you can charge your phone, buy drinking water and some food. Big containers with two bedrooms each, a kitchen with gas stove, big table and benches, electricity (after 7pm), outside toilet. This is the best option if you’re planning to walk all the way to the summit (not taking a snowcat) you’ll make your summit day easier and shorter. No coffee shops, no drinking water here, for cooking you can melt snow or use water from the streams it will be fine for drinking as well when boiled. Map of the cable car route and the stations on Elbrus. How to get to the starting point of the climb? From Terskol take a shared taxi (Kupol hotel) to Azau, RUB200/US$3,5 for a car up to 4 people, takes 5min. From Azau village take an old cable car (red color) to Mir (World) station, RUB500/US$8 both ways. There is a new cable car (white color), it’s double the price and doesn’t go to Mir station. First you arrive at Stary Krugozor station (3000m) where you just change a car and continue to Mir. Important! Keep your ticket for the way down. The cable car runs daily from 9am to 4pm (4.30 down). Tip! If you’re planning to stay in a barrel try to be at the cable car earlier (8.30-8.45) this way you’ll get to the top among the first and will have more options to choose from. From Mir station take a chairlift to Garabashi (3800m), RUB100/US$1,5 pp one way, plus RUB100/US$1,5 for a backpack (if it’s heavier than 10kg), you are not allowed to take a big bag with you there is just no space for it. Some people (must say very few) walk from Mir to Garabashi, it’s not far 300m up but can make you quite tired especially carrying big backpacks. From Garabashi station you can take a snowmobile to Maria shelter (4100m) for RUB500/US$8 pp., if you don’t mind going that high in such a short time. It’s possible to walk all the way from Azau village to Garabashi station, the road goes under the cable car, depending on your fitness level and backpack heaviness it can take between 3-6 hours. Very few people do it but it’s the most budget option, costs you nothing. Old cable car from Azau to Mir station. Old containers turned into houses, the new once are quite cozy inside, from RUB700/US$12 pp. beds (4-8 people), some have mattresses and pillows, some don’t, depends on the price. kitchen with gas stove and few pots, we’d recommend to bring your own pots. You can pitch it anywhere you like, just try to find a wind protected spot as it can get quite windy sometimes. Free of charge. you can charge your phone in the coffee shop next to the new cable car station. for water (cooking) you can ask in one of the barrels or coffee shops. Snow and water in small creaks is not good for using there are too many snowcats and snow mobiles around. Garabashi station (3800m) – Maria shelter (4100m) – Pastukhov rocks (bottom 4550m, top 4700m) – the saddle between the east and west summits (5400m) – west summit (5642m). Mt.Elbrus south climbing route to the west summit. As I said earlier Elbrus climb is not very technical, we had only crampons and ice axes and it was ok but we’d suggest to bring a harness and carbines, in some places (very steep slopes) there are ropes you can clip yourself in to prevent falling down. You can also clip your harness into a group’s line when crossing the saddle. In the morning (9am) we took a cable car+ski lift from Azau (2300m) to Garabashi station (3800m). Once there find accommodation/pitch a tent, rest, sleep, read the rest of the day. Can chill and drink tea in the coffee shop, it’s nice and warm inside, electricity, music etc. Camping at Garabashi, we were lucky to find this spot! In the morning (if the weather is good) we did an acclimatization walk to Pastukhov rocks and back. Important! Remember to walk slow, rest and drink enough water. If you feel good as an option you can move from Garabashi to Priyut 11 this day. At about 9am we moved with all our stuff from Garabashi to shelter Maria, it took us about 1h20min. Here we stayed in one of the shelters for RUB700/US$12 pp. The rest of the day spent resting, sleeping and drinking tea. Campbell on the way from Garabashi to Maria shelter. Moving with all our luggage! We started the climb at 12.30am from Maria shelter, it took us about 10 hours to get to the top (west summit). The night was very windy we didn’t have big expectations and thought we’d go back in 2 or 3 hours. Our worries about not knowing where to go were absolutely unreasonable, there were dozens of people walking up! It was very easy to follow them, we all basically walked in a line like one big group. From Pastukhov rocks (4700m) to the saddle the up is very steep it’s easier if you walk zig zag, you’ll see most people do it. Once we reached the saddle we all had to stop and there was thick mist we couldn’t see anything. After some time (15min.) it cleared up a bit and guided groups put on their harnesses and started slowly moving forward following their guides. We had no ropes so we started following them. The path is quite narrow but if you walk careful I don’t see any reason why you should fall down. We were at 5000m going higher up, it was difficult to breath and we had to stop and rest a couple of times. Tip! Find a guided group and follow it all the way for your own sake. Last 200m up before we reached the summit, it was the toughest uphill in my life! The last up (200m) was the most difficult I wasn’t sure I’d make it! We moved very slow, from pole to pole, stopped every 100m to rest, this up was exhausting. Finally after struggling for about an hour or so we reached the summit. It was amazing, unreal view; mountains, valleys and you above all of them! Important! The summit itself is 20min. walk (slight up) after you finish the last long climb. The way down was much quicker and easier, we got back to the shelter in 2h30min. We had enough time to grab our backpacks and get to the ski-lift before 3.30pm (closing time) and the cable car (4.30pm closing time). We got back to our hotel in Terskol at 5pm and had enough time to return our rental gear back to the shop, most shops close at 7pm. We kept our gear one day longer so had to pay for one extra day. Stingy Nomads on the top of Mt.Elbrus, the highest summit in Europe. The best you can do for acclimatization is to have time, the more the better. Drink enough water, usually 1-1,5l more than you usually drink. Rest more, exercise less, especially first day or two. Climb higher, sleep lower (if it’s possible). Diamox as a prophylactic, we didn’t have it does help, we took it in Nepal. Don’t push yourself if you feel tired or have a headache rather skip any walks and sleep instead. Here are some interesting facts, tips and myths about altitude sickness from Institute for Altitude medicine. Some climbers (mostly foreign groups) take snowcats from Garabashi (3800m) to Pastukhov rocks (4700m) to make the summit walk faster and easier. They charge RUB5000/US$87 pp for the ride, max 6 people. As an option you can take a snowmobile, it might be cheaper, from RUB3000/US$52 but it takes only one person. Both you have to arrange at least one day prior your climb. We decided to walk all the way first, because it’s some sort of cheating (you already got half way with the cable cars) and second, because it’s expensive. Anyway this decision is up to you. What to pack for the climb? If you’re not a professional climber we’d suggest to bring the basic hiking gear and rent special climbing gear in Terskol at least we did it that way and it worked perfect. Headlamp, make sure your batteries will last for 3-4 hours you’ll need it since you start walking at 1am-2am. Water bottle or LifeSrtaw bottle, hydration pack won’t work water in the tube freezes quite quick. If you’re on a long-term trip and don’t want to carry heavy camping stuff (tent, warm sleeping bag etc.) with you can rent it in Terskol as well. Thick socks, we’d recommend merino wool socks for both blister protection and keeping your feet warm. Sunglasses, lens category 4 – a must have item you really can get snow blindness if you don’t wear one especially on the ascend day. Where to stay before the climb? There are three villages nearby Elbrus; Azau, Terskol and Cheget. Azau is the closest to Elbrus, the cable car goes from starts here. Terskol, the biggest one, we stayed here, its location is very convenient, 5min. drive to Azau, 15-20min. walk to Cheget, shops, hotels, a couple of campsites, rental shops etc. Cheget, the furtherest from Elbrus but the closest to Cheget mountain, where the most people go for an acclimatization hike. There are three rental shops in Terskol; Rock’n’Rent, a fancy rental shop 7 Vershin and Kultur Multur. We rented everything in the last one, the reason they are cheaper and have a big variety of gear, different sizes and good quality. The guys from the shop do gear repairing as well, they fixed our camping mattress. Rock’n’Rent has more or less the same prices but not as much gear, in high season you have a good chance not finding your size. As a deposit you can leave your passport, ID or driving licence. Tip! Don’t take your passport to the climb, you don’t need it but there is a chance it can get wet/dirty etc. Rather ask to lock it in a safe in your hotel or leave it in a rental shop as a deposit (as we did). Kultur Multur gear rental shop. We really liked these guys! Backpacking; accommodation (camping) – from RUB200/US$3,5 per tent, food – from RUB150/US2,5 per meal (cooking will be cheaper, all campsites have gas stoves), transport (mini buses between villages) – from RUB25/US$0,5 pp. 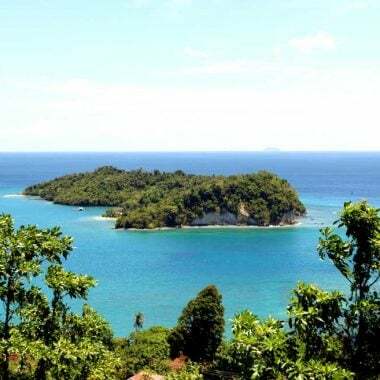 Middle price range; accommodation – from RUB1400/US$24 for a double, food – from RUB200/US3,5 per meal, transport (taxi) – from RUB50/US$1 pp per ride. Upper class; accommodation – from RUB2500/US$43 for a double, food – from RUB400/US$7 per meal, transport (taxi) – from RUB50/US$1 pp per ride. We were quite impressed when saw this 9 year old boy climbing to the summit with his father. Very inspiring! How to get to Nalchik? There is an international airport in Nalchik, most foreigners come this way. Flights from Moscow from RUB3000/US$52 one way. There are flights from many Russian cities but they are more expensive. You can catch a direct flight from Istanbul (Turkey) as well from RUB3200/US$55 one way. From the airport you can get by taxi to the bus station. There are trains from St.Petersburg and Moscow (from RUB2400/US$ one way if buy in advance) as well as from many other cities. The journey from the capitals takes between 1,5-2 days. There are buses from several Russian cities; Sochi (RUB1500/US$26 pp. ), Mineralnye Vody (RUB150/US$2,5 pp), even from Moscow and St.Petersburg (long and tiring journey). There was a lot of wild raspberry in the forest around Terskol. How to get from Nalchik to Terskol? The easiest way is to get here by mini bus from Nalchik, there are direct buses from Nalchik bus station, the last bus leaves at 1pm. Price RUB220-300/US$5 per person incl. luggage. Some taxis will drive you for RUB500/US$9 pp if you’re four in the car. The journey takes about 1h20min. The same bus goes to Cheget and Azau. You’ll have to get a registration paper, your hotel will arrange it for you, it just a piece of paper with a stamp from the post office, costs RUB250/US$4 pp. It’s a general rule for Russia, all foreigners have to get it at every place (town, city) they go. Usually hotels/hostels do it for you no need to worry. There is one ATM (Sberbank) in the town, sometimes it has no money, rather bring enough cash with you. Most places (restaurants, rental shops) accept only cash. You can exchange USD or Euro at some hotels e.g. Elbrusia. The village is quiet and safe, locals are friendly and helpful. There are 3-4 grocery shops where you can buy basic things; food, batteries, toiletries etc. Not many locals speak English. Mini buses and taxis wait between hotels Elbrusia and Kupol. There are quite a few hotels and campsites in the village, we camped at the nearest to the town campsite, RUB200/3.5US$ per tent. It has basic facilities; wooden hole toilets, cold shower (can make a fire to heat water), wood, dining area under the roof, drinking water, gas stove, nice place and very friendly owner. We camped here before the climb but when came back didn’t feel like camping again and checked in into hotel. Accommodation around Elbrus is not expensive it’s not really worth to stay in a tent after or before a tough climb. One night before and after the climb we stayed in hotel Elbrusiya. Big spacious rooms, with one double or two single beds, TV, hot shower, wi-fi, towels, new, clean and neat, hot radiator in the bathroom (good for drying clothes and shoes), you can borrow electric kettle at the reception. It was a real pleasure to come back here after sleeping on the mountain. When you go to climb Elbrus you can leave here some extra stuff in a storage room for free, valuable things (cameras, laptops etc.) they can lock in their safe. This place is very good value for money. There is a nice budget restaurant next door they serve good and cheap breakfasts, lunches and dinners as well as national dishes. Another nice place is Hotel Povorot, a group of our friends stayed there. The hotel is a bit away from the town, about 500m, in the pine forest, very quite place with beautiful location. Rooms are spacious with all you need for a nice stay; comfortable beds, satellite TV, wi-fi, mini-bar, heating, towels etc. The hotel features SPA center and indoor swimming pool free for guests’ use. English breakfast included. There is a restaurant and bar in the hotel. Terskol; hotel Elbrusia, ATM, taxi parking and hotel Kupol (on the left). Mount Chaget, you can walk or take a ski lift to 3000m, it’s a part of acclimatization before climbing Elbrus. Visit mineral spring Narzan, 25min. walk from Terskol, here you can drink some water/refill your bottles for free and eat shashlyk (grilled meat) in one of the local places. Do a hike to Observatory/Terskol peak (3150m) from Terskol to enjoy a stunning view from the top. Go to Elbrus village (taxi or bus) and walk along Irikchat ravine. The original climb to Elbrus started here before new towns and cable cars were built. You still can do a climb from this side but it requires experience and good fitness level there are no shops, you’ll have to camp all the way and to carry all the food and gear. Mineral spring Narzan, high in calcium and magnesium. You are not allowed to be within 5km border zone (border with Georgia) without a special permit that you can get at a local border service. It has nothing to do with climb to Mt. Elbrus from any side. You won’t be able to go all the way the top of Cheget mountain (higher than 3000m), visit ravines Adylsu and Adyrsu. But there are plenty of other places around where you can go without any permits. Shashlyk (BBQ meat) cooked over a fire beef or lamb meat pieces, it’s a nice treat after the climb. Shurpa (shorpa), thick soup with meat (lamb, beef) and vegetables, very good with local bread. Khychin, a traditional fried pancake-pie with filling; potato and cheese, meat. Local teas with berries and herbs. One of the best places for teas and khychins is on Cheget mountain (next to the first chairlift station, 2735m). Five Big Mountains: A Regular Guy’s Guide to Climbing Orizaba, Elbrus, Kilimanjaro, Aconcagua, and Vinson by David Schaeffer. Kindle and paperback. Higher Love: Skiing the Seven Summits by Kit DesLauriers. Kindle and paperback. The Mountain: My Time on Everest by Ed Viesturs. Kindle and paperback. The Mountain Guide Manual: The Comprehensive Reference–From Belaying to Rope Systems and Self-Rescue by Mark Chauvin and Rob Coppolillo. Kindle and paperback. Lonely Planet Russia (Travel guide). Kindle and paperback. Lonely Planet Russian Phrasebook & Dictionary. Kindle and paperback. I am trying to organise this as well. But I do not find any place to arrange for huts and transfer from Mineralyne Vody… Any help? Hello, Sergio! Thank you for the comment! We didn’t arrange anything beforehand. There are taxis and mini bus taxis from Mineralnye Vody to Terskol. As for the huts you can try to book it from Terskol or just make sure to be early enough at the cable car then you’ll arrive before the most of the people and will have enough time to find a place. We didn’t book anything in advanced and were able to find accommodation. What is the temperature range on summit day? Why do you recommend 60l backpack for men and 50l for women? Any way to camp around 4500-5000 m? Hello! When are you planning to climb Elbrus, temperatures vary a lot between May and September, we climbed in August and we started with -15C at night but it felt colder due to strong wind, after the sunrise at got significantly warmer about -5C and no wind. I recommend 60L and 50L backpacks because we had these sizes backpacks but you can take whatever size backpack you feel comfortable with. Shelter Maria is the last place where you can camp or stay in a shelter I wouldn’t recommend pitching a tent higher it snows a lot up there even in peak summer season, we got two days of terrible snow storm, it might be dangerous to camp alone somewhere on the mountain slope above 4500m. I don’t know how many mountains you’ve climbed and how experienced you’re but it’s better to stick to the existing rules the climb might seem easy but it’s not, there are a couple of people who die every year climbing Elbrus. I’m planning to climb Elbrus in July. Self supported and without using the cable car. I haven’t found a good description of the route from Azau to Garabashi. Everybody seems to do acclimatization walks to nearby peaks but I’m wondering why nobody walks up to the cable car station as part of the acclimatization process…. do you have some thoughts about it? I want to make the summit push a bit shorter. Is there any good camping spots (protected from wind) between shelter Maria and Pastukhov rocks? Any places to get food supplies appart from the bottom village? Hello, Carlos! The route from Azau to Garabashi goes right below the cable car and sky lift, it’s not a very beautiful scenic route to take, the path itself is quite muddy and rocky, we didn’t see anybody walking up. I guess nobody walk because you have a lot of stuff to carry with including plastic boots, crampons, some food supplies, tent and camping gear (if camping) etc. I believe the walk up with a heavy backpack will make you pretty tired and your chances of getting altitude sickness will be higher. Acclimatization hikes to some peaks around offer great views and you don’t carry a heavy backpack with that’s I guess is the reason why people prefer them to walking up to Garabashi. The last tents we saw on the mountain were around Maria shelter higher up it’ll be difficult to find a good spot for pitching a tent, plus if might be dangerous as later in the day the wind gets quite strong and snowstorms are not rare even in summer so you might find yourself isolated on the slope. The best option on the summit day is to move for a tent to a shelter it’s safer for your stuff and you don’t have to break your tent, pack your stuff etc. you can just grab your backpack and go down. There are places to get food at Garabashi (a couple of restaurants) so you can buy some food and water there. I’ll try to go there this year, however unfortunately not summer but May. Hi. I’m planning to do this sometime this summer (possibly July). How did you get a Visa for Russia? All the travel companies that offer guided services say that you need an invitation letter from them to be able to enter and stay (for your trip) in Russia. Thanks. Hello, Justin! I didn’t apply for visa South African don’t need visa to enter Russia, it’s 90 days on arrival. But as I know it’s a normal practice to get an invitation from Russian side. All this visa stuff is always a pain! Good luck! Can you buy diamox or anything similar around there? In case of emergency how can you handle, is it anything similar like in Nepal when a chopper is coming and pick u up? I mean can you fix this in advance? Registration at rescue center involves such actions if necessary, i mean can you pay there akind of insurance for such needs? Are the huts warmed or no difference if u sleep in a tent? Hello, Flo! Thank you for the comment! We didn’t try to find it there, probably you can get it but we’d suggest to bring it rather with or buy in a bigger place (Terskol in a small village). At rescue center you only register and in case you don’t show up or phone the day that you supposed to come down they will start searching for you, I don’t think you can arrange anything in advance or buy insurance from them. At there is a small rescue office at . A good thing about climbing Elbrus is it’s accessibility, you can get down from the last base camp (shelter Maria) very quick; snow-cat, ski-lift and cable car and in less than 1 hour you’re down to 2300m, not like in Nepal where to get to lower altitudes will take days. The best you can do is to make sure you’re proper acclimatized, if you don’t feel strong enough stay an extra day or two in the camp and to attempt a climb only in good weather conditions. August is still high season there will be many people and groups climbing, everybody starts the same time, between 12am and 1am, you won’t be alone, for extra safety (what we did) you can walk behind one of the guided groups, they won’t climb if the weather conditions are not good and it’s not safe. In fact everybody walks in a line almost all the way from the base camp to the summit. Most of the huts (definitely newer once) has gas heaters, we tried both camping and sleeping inside and it definitely was warmer in the hut. Hello, thank you guys for such an awesome post and with so much detail! It makes the challenge feel that much more feasible. As a result, me and my brother have booked a trip for next August to do a solo ascent ourselves. We will be taking all our own gear with us however. I was wondering how you traveled to the region initially as we are thinking of getting a train from Moscow all the way down to the region? Also, whats the security like in the region and in russia as a whole? It says to not travel in the region and reading online it seems that there is a good chance of having our gear stolen. Whats your experience? Do you think we are safe to travel all the way there and around the area with our gear and how careful should we be with leaving any gear around? Hi, Rowan! Thank you for the comment! We’re glad you found our post helpful! We traveled to Nalchik by train from St.Petersburg so our journey was longer than yours from Moscow. We took the cheapest option called “platzkart” or slipper class. You can buy more expensive seats in a separate compartment with 4 bunk beds. I’d recommend to buy tickets on the Russian railway site “rzhd”, it has an English version, we bought all our train tickets online. You can buy train tickets online up to 90 days before the trip. The trip felt totally safe, the language barrier might be a problem but there probably will be younger Russians that can speak some English. Nalchik is the main hub for those who climb Elbrus, you can get a bus called “marshrutka” or a taxi to Terskol. I wouldn’t leave any expensive gear just laying on the street, always keep an eye on it. We didn’t have any safety issues in the region. On the summit day some people leave their tents with all the stuff in, we stayed in a barrel the day before and left our backpacks with gear there, when we got back our stuff was fine. We saw quite a few foreigners in Terskol many people come in season for climbing. If after the climb you’re planning to go back to Moscow book your return ticket, end of August is the end of summer holiday, it’s a very busy time. Thanks for the awesome guide guys, really good stuff! I have some douts regarding the boots. I’m considering buying a pair but double boots apparently cost a lot. Do you have any idea of relatively budget boots that would be enough for Elbrus? Thank you! You can climb Elbrus only in double boots no other are suitable. If you don’t climb snow peaks a lot it’s not worth to buy a pair of double boots for one climb, no matter what brand they are all expensive, plus heavy and take a lot of space not the best gear to travel with. We’d suggest to bring your normal hiking shoes to walk before and after the climb and for the summit day to rent a pair of plastic boots in one of the gear rental shop in Terskol, we did it, it’s not expensive, they have many sizes. Very nice article. I have a question also … what is the chance that you will not find a place to sleep at one of the camp , if you go alone ? Can you make reservations ? Hi, Florian! Thank you! Some of the places on the top can be booked but you have to ask around for a phone number to book. If you go up early with one of the first cable car you’ll be able to find accommodation, we didn’t see anybody who couldn’t find a spot. Hello! Thank you for the comment! If you arrive at night there only option will be a taxi, there are very few buses even during the day never mind at night. You can wait till next morning at the airport or if there are more people going to Elbrus you can share a taxi between all of you. Great write-up and appreciate all the insight and what is needed to climb Elbrus unguided. I’m heading to hike Kilimanjaro this June and planning on Mt. Elbrus June/July 2019. I’ll do it guided though as I feel more comfortable that way. Hi, Steve! Thank you for reading our blog! Sorry for the late reply we’re busy walking the Camino de Santiago don’t always have wi-fi. Enjoy your climbs both mountains are great! I will be in Russia next month for World Cup, but maybe want a spare time to Elbrus for a few days. Can I just get to Garabashi or maybe Shelter Maria and straight down to Azau village in the same day? Once again, is there a bus form Mineralye Vody to Terskol? Hi, Mohammed! It’s absolutely possible to get to Shelter Maria and down to Terskol in one day, you take cable car and ski lift to Garabashi from there you can take a snowmobile to Shelter Maria and back the same way, will take you about 3 hours up and down. There are buses from Mineralnye Vody but they don’t go direct to Terskol, you’ll have to switch on the way, ask a driver. Good luck! Hope you’ll enjoy Russia! Great post! I’ve read on other blogs that a park permit and border permit is required. Can you confirm that these are no longer required? Also, can you book the huts in advance? We didn’t need any permits to climb Elbrus following the South route from Azau, it’s the main and the most popular route. If you climb from any other side you might need a permit. The only time we were stopped by border officers is when we wanted to go all the way to the top of Mt.Cheget but it’s just an acclimatization hike and most people walk to the last ski lift station (for that you don’t need a permit). The only thing you do before the climb is to register at MCHS (life saver) station in Terskol in case you don’t come back in time they can start searching for you. Most people try to go early to make sure they get a spot in a hut they want never heard of somebody not finding a place in one of the huts, there are several huts at different altitude and one of them will have a spot. You can try to phone these numbers a day or so before you go and book a hut +7(928)951-55-91 and +7 (928) 714-0352. If it doesn’t work decide where you’d like to stay and go to the cable car very early to make sure you arrive one of the first to the top and then ask around there, as most people do. Usually only groups book in advance as they are many people and want to stay together in the same hut. Good luck! Thanks for writing this in very detail. It really helps me and motivated me to this. I don’t think I need to go to any other website to know more details.!! Hi! We’re glad the post was helpful and inspiring for you! How interesting! I had no idea you could do it yourself and that you don’t need a permit to climb. This makes it certainly more budget friendly. What if I wanted to climb a “mountaineers” route? Where would I start? 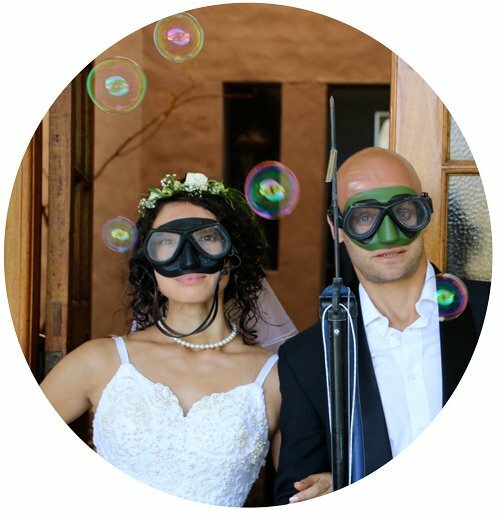 Any suggestions for a guide or a reputable company? Definitely doing this soon! Hi, Kreete! Thank you for the comment! There is no mountineers route they all are climbing just on the South route you can get to 3800m by the cable car. In the post there is a section Different climbing routes where you can see different options and time it takes. I don’t know how experienced you’re if you’ve done many ice climbings etc. For the first timers I’d uggest to do the South route. As for a guide we didn’t use any but you can inquire in Terskol I’m sure you’ll be able to find one.